Protect your property with durable, high-quality, and appealing roll-up garage doors. In Katy, TX, Katy Overhead Doors installs roll-up doors to add a level of security to your home or business. Having more than 10 years of experience in the industry, we know how to ensure your roll-up doors are safe and secure. From basic roll-up doors to hurricane-rated overhead doors, we install all varieties. Since roll-up garage doors gather into a roll when you lift them, they are simple to operate and provide a bit more space than other types of doors. In addition, they are known for their strength and longevity. It's no wonder these doors are ideal choices for use in commercial and industrial buildings, as well as residential properties. 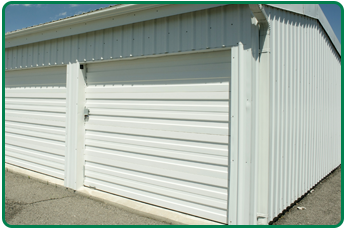 For roll-up garage door installation, you can depend on our overhead door company for affordable and prompt services. We always provide timely service and quality workmanship. Our workers possess the knowledge and experience to perform a first-rate job and get it right the very first time. It is important to use skilled technicians to install your door. Our local company has an excellent reputation in the community because we have provided roll-up garage door replacement and installation for many years. Why settle for a low-quality job because you think you can't afford a new door. Let us handle the work. You'll find we perform the job efficiently and at an affordable price. Improve the value and security of you property by replacing your old roll-up door. Even though we do everything we can to repair your garage door, sometimes roll-up garage door replacement cannot be avoided. When you need your garage door replaced, you have come to the right place. We are highly experienced, which means you can rest assured that every job is performed correctly. Garage door installation is not a simple task. It requires patience, knowledge, and experience. Our roll-up garage door company has installed hundreds of doors throughout the years. No matter what the size, shape, style, or weight, we have the manpower and ability to ensure your new door is a perfect fit. Contact us to find out more about our installation services. We proudly serve residential and commercial customers in Katy, The Woodlands, Sugar Land, and Columbus, Texas, as well as in and around the surrounding areas.